When you have body dysmorphic disorder, you intensely obsess over your appearance and body image, often for many hours a day. You may seek out numerous cosmetic procedures to try to “fix” your perceived flaws, but never will be satisfied. Body dysmorphic disorder is also known as dysmorphophobia, the fear of having a deformity. The body feature you focus on may change over time. You may be so convinced about your perceived flaws that you become delusional, imagining something about your body that’s not true, no matter how much someone tries to convince you otherwise. Shame and embarrassment about your appearance may keep you from seeking treatment for body dysmorphic disorder. But if you have any signs or symptoms of body dysmorphic disorder, see your doctor, mental health provider or other health professional. Body dysmorphic disorder usually doesn’t get better on its own, and if untreated, it may get worse over time and lead to suicidal thoughts and behavior. Brain chemical differences. Some evidence suggests that naturally occurring brain chemicals called neurotransmitters, which are linked to mood, may play a role in causing body dysmorphic disorder. Structural brain differences. In people who have body dysmorphic disorder, certain areas of the brain may not have developed properly. Genes. Some studies show that body dysmorphic disorder is more common in people whose biological family members also have the condition, indicating that there may be a gene or genes associated with this disorder. Environment. Your environment, life experiences and culture may contribute to body dysmorphic disorder, especially if they involve negative experiences about your body or self-image. Body dysmorphic disorder usually starts in adolescence. It affects men and women in similar numbers. Treatment of body dysmorphic disorder can be difficult, especially if you aren’t a willing and active participant in your care. But effective treatment can be successful. 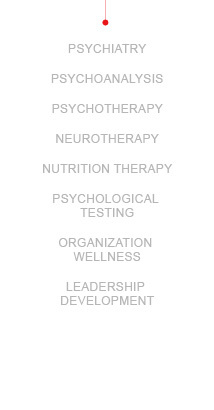 Often, treatment involves a combination of cognitive behavioral therapy and medications. Cognitive behavioral therapy focuses on teaching you healthy behaviors, such as being social and avoiding obsessive behaviors, such as mirror checking. Therapy can help you learn about your condition and your feelings, thoughts, mood and behavior. Using the insights and knowledge you gain in psychotherapy, you can learn to stop automatic negative thoughts and to see yourself in a more realistic and positive way. You can also learn healthy ways to handle urges or rituals, such as mirror checking or skin picking. You and your therapist can talk about which type of therapy is right for you, your goals for therapy, and other issues, such as the number of sessions and the length of treatment. There are no medications specifically approved by the Food and Drug Administration (FDA) to treat body dysmorphic disorder. However, psychiatric medications used to treat other conditions, such as depression, can be prescribed for body dysmorphic disorder off-label — that is, even if they haven’t been specifically FDA approved for that use. Because body dysmorphic disorder is thought to be caused in part by problems related to the brain chemical serotonin, the medications prescribed most commonly are selective serotonin reuptake inhibitors (SSRIs). SSRIs appear to be more effective than other antidepressant medications for body dysmorphic disorder. SSRIs may help control your obsessions and repetitive behaviors. In general, treatment of body dysmorphic disorder requires higher doses of these medications than does depression. You can gradually increase your dose to make sure you can tolerate the medication and possible side effects, such as weight gain or a change in sexual desire. It may take as long as 12 weeks for noticeable improvement in your symptoms. You may need to try two or more medications before finding one that works well for you and has the fewest side effects. And you may need to try other types of antidepressants or medications if the main choices aren’t effective enough. In some cases, you may benefit from taking medications in addition to your primary antidepressant medication. For instance, your doctor may recommend that you take an antipsychotic medication in addition to an SSRI if you have delusions related to body dysmorphic disorder. The risk of relapse is typically high once you stop taking a medication for body dysmorphic disorder. You may need to continue to take a medication indefinitely, especially if you’ve had suicidal thoughts or behavior in the past. In some cases, your body dysmorphic disorder symptoms may be so severe that you require psychiatric hospitalization. Psychiatric hospitalization is generally recommended only when you aren’t able to care for yourself properly or when you’re in immediate danger of harming yourself or someone else. Psychiatric hospitalization options include 24-hour inpatient care, partial or day hospitalization, or residential treatment, which offers a supportive place to live. While it may seem that a procedure to “fix” your perceived flaw is a good option, cosmetic surgery, dentistry or other approaches usually don’t relieve the stress and shame of body dysmorphic disorder. You may not get the results you hoped for, or you may simply begin obsessing about another aspect of your appearance and seek out more cosmetic procedures. Cosmetic procedures don’t treat your underlying condition — they are only temporary fixes, at best.